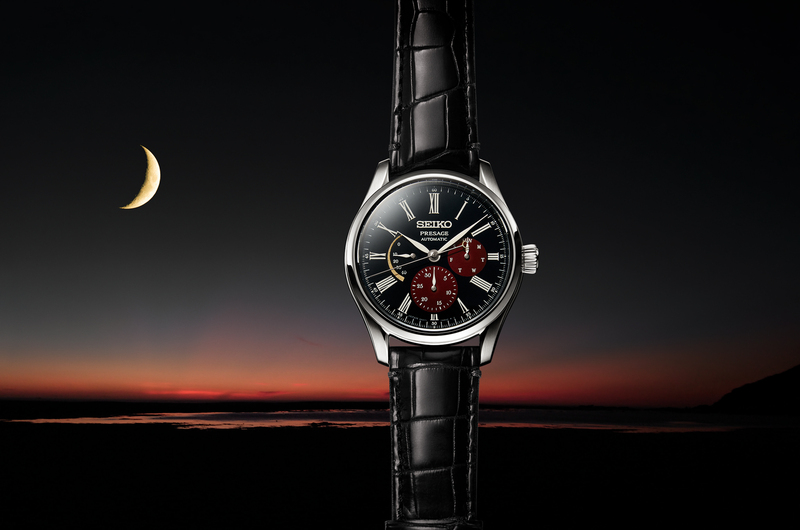 Seiko has partnered with Italian automobile and industrial designer Giorgetto Giugiaro – who has designed everything from the DeLorean DMC-12 to the Nikon D4 to the Beretta CX4 Storm – to create a limited edition of the Seiko Astron GPS Solar. This 5,000 piece limited edition model is presented in the same 44.6 mm diameter lightweight titanium case as the standard production 8X models, but with unique styling by Giugiaro Design. 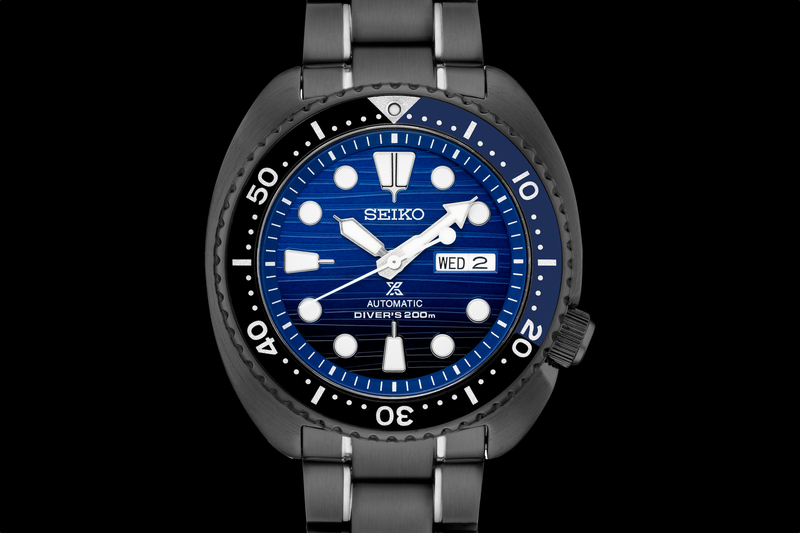 The watch is powered by caliber 8X82, Seiko’s latest solar-powered GPS quartz movement (introduced at Baselworld 2014). One-touch time zone adjustment allows you to switch time zones using ultra-precise GPS satellites based timekeeping. And in the rare case that the signal cannot be received, the watch falls back to its precise quartz timekeeping which is accurate to +/- 15 seconds per month (without receiving a time signal). Functionally, the chronograph can record elapsed times up to 6 hours and down to 1/5 second increments. It has a perpetual calendar that will be correct until 2100, an indicator to confirm if the GPS signal was received, a world time function with 40 time zones, a daylight time function. The case features a hard black scratch resistant coating and comes with a titanium bracelet with white ceramic inserts and a separate crocodile leather strap with colors matching the dial accents. The dial features newly-designed Arabic figures and red and green color accents. And the case back is sculpted into the shape of a sports car wheel and is marked with “Giugiaro Design Limited Edition” and the watch’s individual serial number. 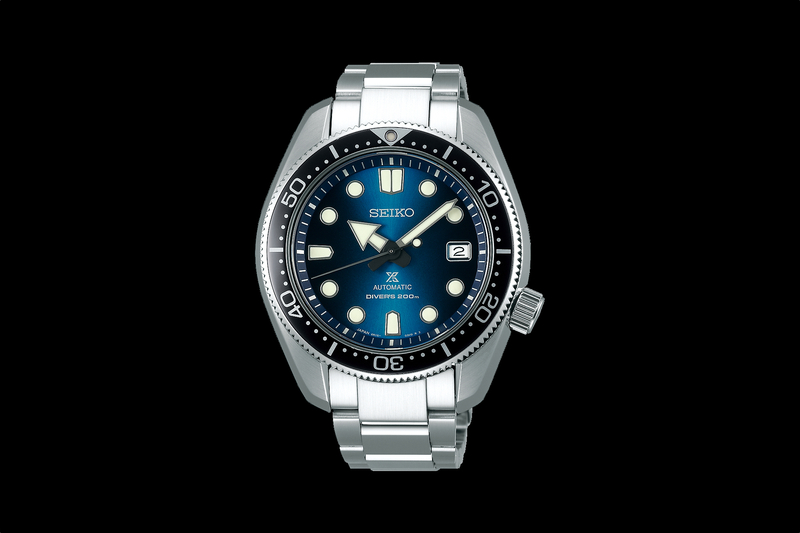 The UTC time zones are marked on the flange dial, and the bezel has a tachymeter scale for the instant calculation of speed. The hour and minute hands, and the hour indexes are treated with lume. 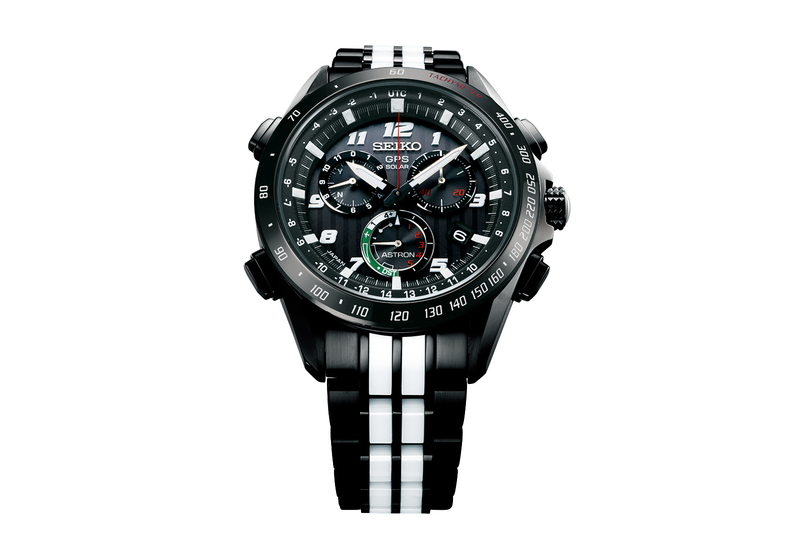 The Seiko Astron GPS Chronograph Giugiaro Design limited edition will be released in July 2015 in the United States, along with other new Astron Chronograph models.